Two brand-new, outdoor bars cater to thirsty patrons. 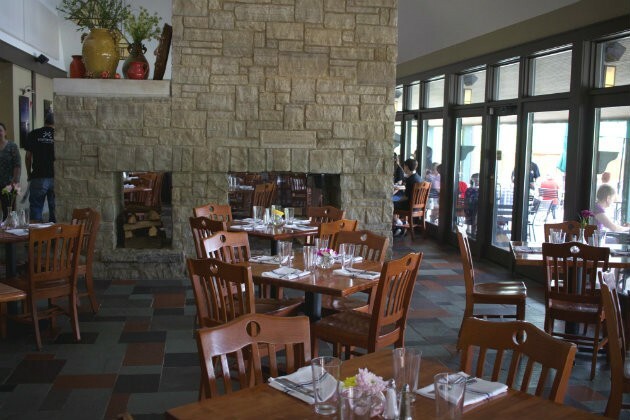 If you had planned on taking your mother to the Boathouse at Forest Park (6101 Government Drive, 314-367-3423) this past Sunday, you were not alone. Even well into the afternoon, the restaurant was running a four-hour wait. Four hours. "Who does that?" owner Mike Johnson laughs. "If it were me, I would put my name on the list, go out to lunch somewhere else and then come back for dinner when my table is ready. It's insane." Though Mother's Day is a notoriously busy day in the restaurant business, the volume not an anomaly at the revamped Boathouse. Since opening under the control of Sugarfire Events on April 25, the restaurant has seen business at a level that even a seasoned restaurant veteran like Johnson finds shocking. By 10:45 on any given morning, guests are already lined up, and the madness doesn't stop until it closes at 10 p.m.
You can now rent canoes, paddle boards, kayaks and paddle boats, courtesy of Boathouse Paddle Co. The popularity is warranted. 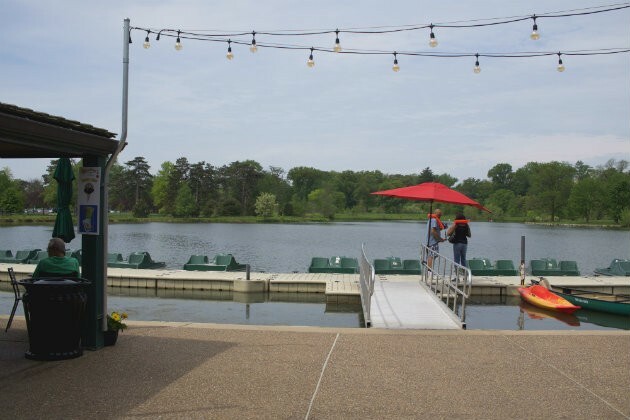 Though the Boathouse in its current form has been in operation for nearly two decades, its foodservice was never as inspiring as the environs, which overlook Post Dispatch Lake in the heart of Forest Park. 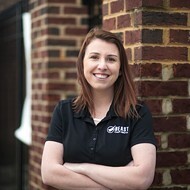 When Johnson and his team won the contract to take over the space late last year, they were determined to change that. And change it they did. Headed by executive chef Jack MacMurray III, the kitchen has not only seen a physical renovation, but has completely overhauled the menu, too. Eclectic and comprehensive, Johnson explains that the food offerings are designed to appeal to a wide range of patrons. Look for everything from soups and sandwiches to smoked salmon platters to a bacon-wrapped pork tenderloin entree. There are even new grab-and-go entrees and two brand-new bars for those who prefer their meals in liquid form. Johnson and MacMurray took a brief break from the chaos to break down a few other fun facts that you need to know about the Boathouse at Forest Park. But really, the most important thing you need to know is to allow plenty of time, and that's not just because you have to wait for a table: Once you are seated, you'll never want to leave. Szechuan sticky pork spare ribs. 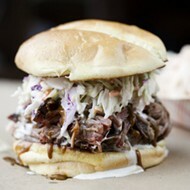 Though Johnson's name is synonymous with his beloved Sugarfire brand, do not expect the Boathouse to be a smokehouse. 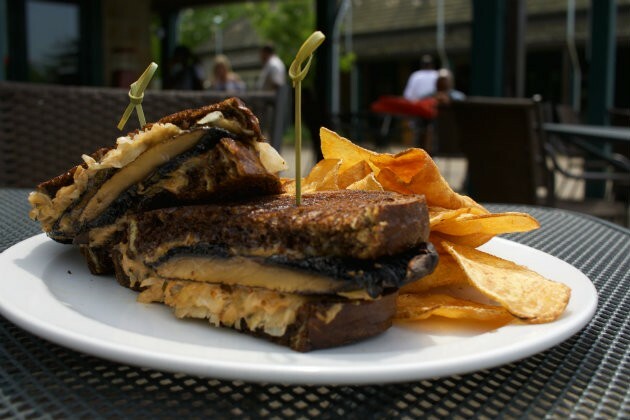 The restaurant is an entirely different concept with an eclectic menu of appetizers, salads, sandwiches and entrees. The Boathouse may not be Sugarfire, but it wouldn't be a Mike Johnson concept without killer ribs. 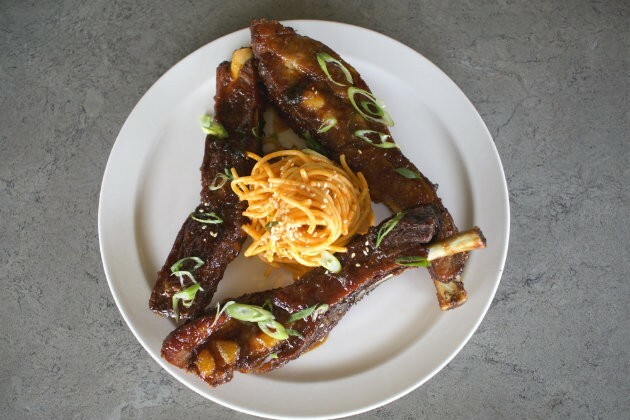 He and chef McMurray developed Szechuan-style sticky pork spare ribs for the restaurant that are as big in flavor as they are size. Are they sure this isn't a barbecue restaurant? The shrimp are a house specialty. Chef McMurray is proud of his almond-encrusted and flash-fried shrimp, for good reason. 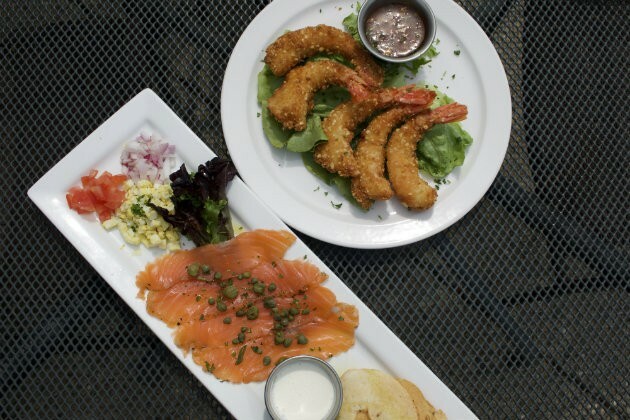 Crisp and golden on the outside, tender on the inside, this delectable appetizer has been his signature dish since he developed it early on in his career while working in Colorado. Does anything go better with a lakeside patio than a cocktail? 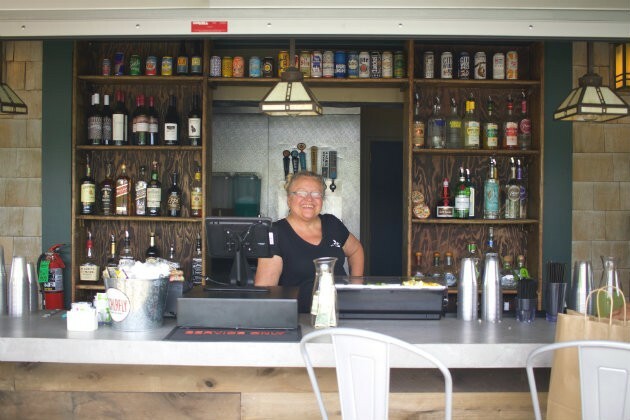 Johnson says no; that's why he has flanked both sides of the Boathouse property with well-staffed outdoor bars complete with a good beer selection and several premixed cocktail options, including whiskey lemonade and margaritas. Though paddleboats have always been available, the newly retooled Boathouse now offers canoe, kayak and standup paddle board rentals in partnership with Big Muddy Adventures. The newly minted "Boathouse Paddle Co." is even talking of hosting paddle board yoga and evening paddles. Just make sure you hit the bar after your excursion. Of course wildlife is a part of any outdoor dining experience, and the ducks and birds around the Boathouse are no exception. Be forewarned that if you sit on the outdoor patio, you are likely to have an uninvited guest eyeing your plate. As one bartender put it, the duck and birds here seem particularly fearless. Perhaps they've heard how good the new food is too. Inside the retooled Boathouse at Forest Park.